Originally created for my friend Bo, but left here for those who come along and find it. There's a page I started for Holly after we saw "Across the Universe" here. Eleanor Rigby Wikipedia page with tons of info and here are lyrics which can open without stopping the music here. I don't love Yellow Submarine, meaning it's not in my top fifty or anything, but I think if you listen to it a couple of times and try to ignore the story and the lyrics, and listen to the drums... and then another time, same thing, listen to the bass, it will be a good example of how rich even the less stellar of their songs are. Also, probably someone else could comment on this more clearly (write here to comment), but it was a big deal, then, to do a full-length animated movie, and to do one pretty much in a psychedelic style, seemingly based on Peter Max-style art, was the iceberg of which the Yellow Submarine song itself is only the tiniest tip. "Hey Bulldog" is short, good, and obscure. It's on the Yellow Submaring album, but wasn't in the movie. The first section is like a duet between the bass guitar and the voice, and then George Harrison comes in with lead guitar after that. "Within You Without You" was during the Hinduism phase, and uses sitar, tabla and Indian rhythms. As to English, the title and tagline is ambiguous. "Without you" can mean both "outside of you" and "in your absence." So that's cool. Hinduism holds reincarnation to be the constant, and so even between lives, one is still part of the greater life. 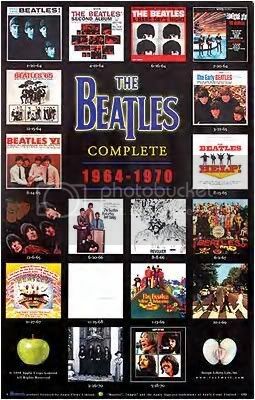 Musicological commentary by Allan Pollack From the intro: "Though Pollack is not the first to write about the Beatles' songs, his analyses are —in respect to the musicological aspects of the Beatles' repertoire—by far the most detailed ones. Each and every song gets the attention it deserves and Pollack never tires to explain the little details." This is about the music, and not always an easy read. But if you like that sort of thing, it's great! From his notes on I Feel Fine (late 1964): "This intro is also a good example of the Beatles' trademark layered opening, an effect created primarily by the manner in which entry of the other instruments, especially the drums, is delayed until the end of measure 6." He's able to write about the elegance of their musical decisions, and what makes them notable. Wikipedia's Beatles page with a good summary and links galore. There are stories there I'd never heard of (and I used to read everything I could find). Something rough and interesting about Imelda Marcos and the Phillipines in 1966!